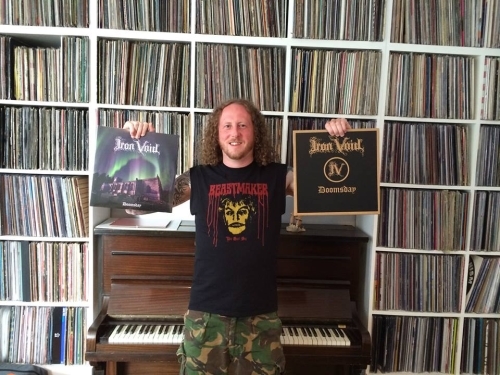 "When Jonathan 'Sealey' Seale got in touch with us to publicise Iron Void's UK April tour with Wretch, he was kind enough to offer us the chance to come along and chat to the bands. Well, anyone who's spent any time on the road and in the backstage knows things don't always go exactly to plan...but nonetheless Nick caught the Wakefield show and met the guys, and this epic joint interview is the result. 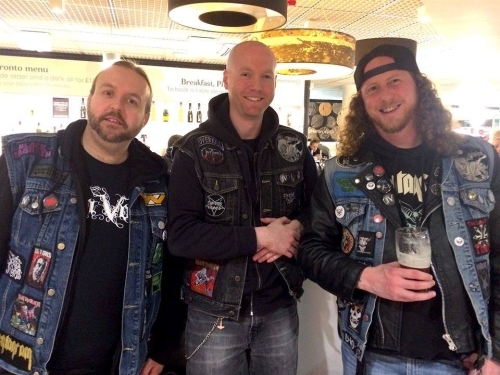 Answering most of the questions: Karl from Wretch and Iron Void's Sealey, Rich and Steve." 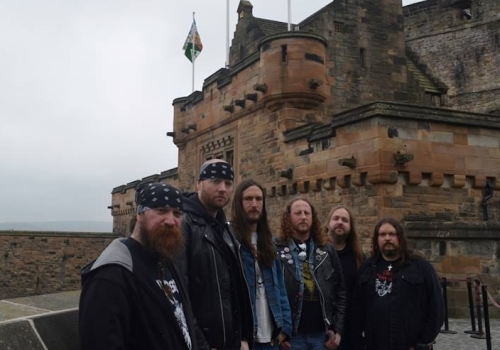 At Edinburgh Castle, 2017: Karl Simon (Wretch - guitar, vocals), Rich Maw (Iron Void - drums ), Bryce Clarke (Wretch - bass), Jonathan 'Sealey' Seale (Iron Void - bass, vocals), Steve Wilson (Iron Void - guitar, vocals) and Chris Gordon (Wretch - drums). Thank you all for agreeing to an interview with Doom-Metal.com. This first question goes out to everyone: this is the fourth night of the UK tour, how's it been for you so far? Sealey: So far, so good! London was a killer show, the venue was packed and it was great to see so many familiar faces and to also meet some people I hadn't had the opportunity to chat to previously such as Pol from Branca Studio (he designed the Wretch / Iron Void UK tour poster). Bristol was quite a small venue but an enjoyable gig and Sheffield was cool too. 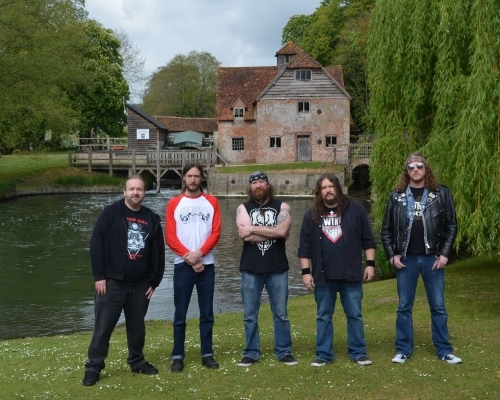 I really enjoyed taking the lads to see Mapledurham Watermill (as featured on Black Sabbath's debut album artwork) and Stonehenge too. Karl: It's been amazing, coming back the U.K. has been the best time. Rich: The tour has been great so far; London was a great show for both bands and The Gryphon in Bristol was a fantastic and intimate show, with the crowd really up for it. At the Mapledurham Watermill... (Photo by Katrina Kendrick). How did this tour come about, is there some past history between the two bands? Sealey: Everyone in Iron Void is a big fan of Karl's previous band, The Gates of Slumber (TGOS) and Wretch too. Karl and I had been chatting on Facebook for quite a while and we both said we should play some shows together at some point. I posted a TGOS live recording on Facebook from when I saw them at Roadburn a few years ago and Karl said let's do it! I immediately started booking shows for the tour and the rest is history. Karl: What Sealey said, we'd just chatted on the internet and it all came together. He and Katrina really did a killer job. Rich: As Sealey says, he set the tour up and did a great job with it. Speaking only for myself, I am a huge fan of TGOS and of Wretch. I have written about my love for TGOS for The Sludgelord blog on a couple of occasions. I regard them as one of the best doom bands of all time; right up there with Saint Vitus, Candlemass, Pentagram and, of course, Sabbath. So, we have two Power Trios here, what do you think makes Power Trios so special? There have been many great ones over the years. Sealey: Power trios are special because they are the purest form of what constitutes a 'band'. There's no extra guitars or keyboards to embellish the sound, it's just a basic setup but the most powerful and heaviest in my opinion. Iron Void have tried twin guitar line-ups in the past which didn't work out for one reason or another but I find the power trio setup is the best. It's much easier to write with just 1 guitar too, I find if you have 2 guitarists they always seem to be trying to outdo each other! Also, a power trio allows the bassist and drummer to add more fills which is great as a player. Steve: They always seem to be slightly out of synch live, too. It would be good to add harmonies and some backing here and there but one guitar seems to work. Rich: Power trios have always been a corner stone of heavy music- going right back to Cream in the 60's. It allows for a more expansive sound, converse to the low number of players and I think it encourages each member to play both for the song and to their own limits. With only three people, everyone has to work harder. Are there any plans for further dates later in the year, either together or separately? Sealey: You'll have to wait and see…! Iron Void: Steve, Rich and Sealey. Iron Void, how was it playing a show in your home town with Wretch? Sealey: It was great! Iron Void actually played at this venue nearly 20 years ago with the original line-up of the band, believe it or not! The turn-out could have been better but it wasn't bad at all. We haven't played Wakefield for nearly 3 years, the last time was with Goatess in 2014. Rich: Well, I am not actually from Wakefield - I had never even been to The Snooty Fox Club before! I am from Grimsby in Humberside but have lived in Leeds for many years. It was a pleasure to play a show near to both my home town and near where I choose to live. Iron Void: What was the story behind your hiatus, then reforming after quite a lengthy break? Sealey: Well, the original line-up was active from 1998 – 2000. We played 16 gigs and then split up due to personal differences. 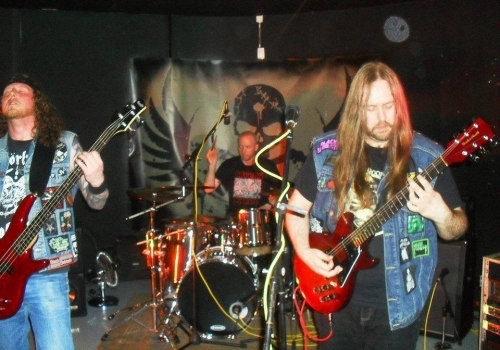 I then went on to play in various bands, namely Tomb (which featured Jamie 'Boggy' Sykes from Burning Witch / Thorr's Hammer on Drums), Black Maria (Sludge Doom), Sermon of Hypocrisy (Black Metal) and Scion (Death / Thrash Metal). I wanted to expand my musical horizons and become a better player and I needed to get the Death Metal bug out of my system. I've been a big fan of Death Metal since I was a teenager but Doom is where my heart lies. Around 2007, I left Scion and I realised I wanted to play Doom again. I was asked to jam with So Mortal Be, which featured Steve Wilson on guitar and vocals. I jammed with them and decided to join the band. The line-up changed after a while and we started to play some old Iron Void songs too. Eventually, Diz (original Iron Void drummer) joined the band and I suggested to Steve that we change the name to Iron Void as I felt it was a stronger name and it made sense to do this due to Diz being in the band and also due to the old Iron Void songs we were playing at the time. Steve agreed and the rest is history. Iron Void: Where do you draw your influences from in terms of the songwriting and the themes in the lyrics? Sealey: Steve and I write riffs all the time. We're the main songwriters. Usually Steve or I will come up with a complete song or just the verse and chorus riffs and we'll jam it out in rehearsal. We usually help each other if we're short on ideas for the middle or a complete arrangement, for example. With regards to influences, we're very much influenced by the usual suspects: Sabbath, Priest, Maiden, Vitus, Pentagram, The Obsessed, etc. but we also share a mutual love for the NWOBHM movement too. In terms of lyrical themes, we draw from various sources. Steve and I both love Hammer Horror films, we also write about real life experiences and observations as well as ancient religions and mythology. We also have some socio-political lyrics which basically allow us to vent our frustrations with the way the world is. It's quite varied really. Steve: I'd agree with that. There's no one central theme, just whatever inspires us at the time. I sometimes write lots of lyrics in a burst of activity, and then there's periods where I don't write any. As far as music goes, I've started to record odd riffs and song fragments and then bring them to rehearsal and arrange them as a band. We come up with some really interesting parts that way and it's easier than bringing a complete song and insisting each part be played a certain number of times. I do still write full songs and demo them sometimes but usually use the riff method. Record them and save them for later. There's about 30 songs worth of riffs waiting to be used just from me! Iron Void: The artwork for 'Doomsday' really is Doom personified. Where is the church that features on the cover, and what made you choose that? Sealey: Thank you, that's exactly what we were aiming for. The church on the album cover is All Saint's Church, Harewood, Leeds, West Yorkshire. It's in the grounds of Harewood House and is quite hidden unless you know where to find it. I chanced upon it when I was walking there several years ago. I immediately thought it would look great for an album cover. 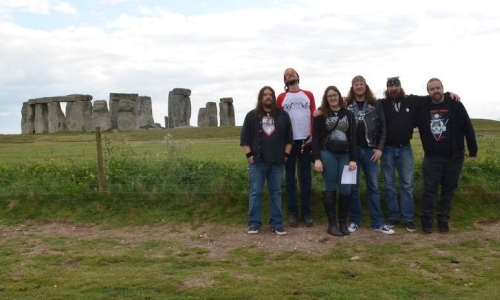 We originally intended for the band members to be stood in the foreground to resemble the grave stones. However, when we took some initial photos we looked way too small so we decided to just use the church on its own. It's also a nod to Black Sabbath's debut album cover and continues the graveyard theme which we originally employed on the 'Spell of Ruin' cover. Live in 2016. (Photo by Håkon Steine). Iron Void: 'Doomsday' was released back in 2015, are there any updates for our readers on the possibility of a new album? And if so, is there anything you can tell us about the sound or the direction you're going for? Sealey: We've just completed writing our next album which will be entitled 'Excalibur'. 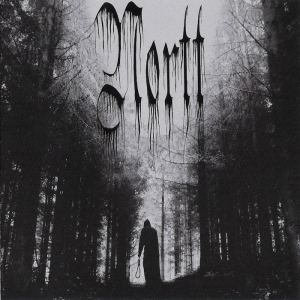 It will be a concept album based on the 1981 John Boorman film of the same name and the Arthurian legends, most notably 'Le Morte D'Arthur' by Sir Thomas Malory and 'Idylls of The King' by Alfred, Lord Tennyson. It will feature 9 songs and we're due to record it at Skyhammer Studios with Chris Fielding at the helm once again between September and November 2017. 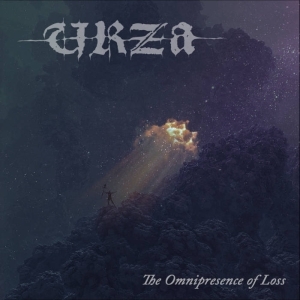 In terms of the sound, it doesn't differ too much from our signature sound but there are more Trad Heavy Metal and Epic Doom influences compared to previous albums. We did consider using other instruments such as the recorder and incorporating female vocals but we decided against this after much thought as we didn't want to alienate our fanbase and thought this would be a step too far. I wrote the majority of the lyrics this time around too. I can't wait for people to hear it and we hope to release this via an as yet undecided label in the first half of 2018 which will conveniently coincide with the 20th anniversary of the band. Steve: We both started writing at the same time, but Sealey has taken the lead with lyrics on this one. I've written a full song for the close of the album and contributed to another one but he knew what he wanted and had all the references to the characters and stories mapped out. The music is a split between some riffs and parts I started working on in 2012 and Sealey's ideas. Most of it was written and arranged together with Rich, learning the songs as we went. It will be the most Heavy Metal sounding record we've done so far but still unmistakably Iron Void. Wretch: Karl, Chris and Bryce. Wretch: First of all, congratulations on the album, it's amazing. How has the new material been received so far, given that it's more concerned with the horrors of real life as opposed to the earlier The Gates of Slumber stuff that had strong elements of fantasy and swords and sorcery. Karl: I think people have responded to the music very well. Wretch: There are some parts of the record that are quite poignant and personal, the line 'the needle stole away my friend', I find particularly powerful. What's it like to perform that kind of material live? Karl: It's become easier. I almost broke down the first time we did that song. The music has helped. And I think that's what Jason would have wanted really. Wretch: There's a great cover of the early Judas Priest track, 'Winter' on the album? Were there any other covers that you considered, or was it always going to be that one? Wretch: When can we expect to see a second album? Karl: Well.... we have to get one written first. There are more songs, but they don't feel like an album. At least not yet. Wretch: The artwork on the album cover is very stark and effective, and already looks iconic. Can you tell us a bit about how you came to choose that design? Karl: Well, if I'm honest I wanted to remove the band from those decisions. For years TGOS would argue over the most idiotic points of cover art. Bad Omen asked Pol (Branca Studio) to do the cover, I sent him some tracks and that is what he came up with. And it would be disrespectful of us to second guess him! I won't do that anymore. I don't want anyone coming in and questioning our music. And in turn I won't do that to another player in this little game. The dude doing the art is a professional! The recording engineer is a professional! I like to hold myself to professional standards - don't micro manage! Let the people do their jobs. I mean look at Sabbath's 'Born Again'. A lot of people second guessed that, but in the fullness of time it became a classic. It was fate. And this was fate. In summary: I worry about the songs and the guitar parts. Lol. I have to say it looks fantastic in Ox Blood Red Vinyl. This question is for everyone really, how do you guys feel about the recent resurgence in the popularity of vinyl? Sealey: It's great! I'm so glad that vinyl is still here and more popular than ever. Album artwork always looks best on vinyl too, much better than CD or tape. Long may it continue! Karl: It's cool. I mean I question how many people really listen to them, but that's not my business. I don't care if folks use Spotify to listen to music! Hell. It's the best $10 I spend each month!!! Can't listen to vinyl in the van.... and CD's skip. Rich: I love the resurgence of vinyl. I have been a vinyl fan since I started listening to and buying music in the early 90's. At the time, it was cheap compared to CD's and tapes so I was able to pick up a lot of classic Metal albums which shaped my tastes and playing. It also allows labels and even bands to make a little money from sales. The artwork and playing method allows for an immersive listening experience that takes me back to my youth. Steve: I think it's great that vinyl is coming back again but it's expensive to make and buy. People are cashing in while they can. Maybe it will go out of fashion again and there will be plenty of bargains to be had. Tapes are coming back too and to be honest, they don't sound bad if you play them on good equipment. I wouldn't throw out my CD's just yet either. They will probably come back into fashion again soon, too. Again, this question is for everyone, what did the first vinyl record you ever bought, be it a single or an LP? Karl: Black Sabbath – 'We Sold Our Souls For Rock 'N' Roll'. Sealey: 'Easy Lover' by Phil Collins and Philip Bailey. I still love that record today, the riff in the middle rules! Rich: My first vinyl record was 'Fear of The Dark' by Iron Maiden, double LP, bought second hand in 1992 for £6 just after it came out. I bought it with a good mate of mine - we had to share it! We each had disc one or disc two for one week at a time and exchanged every week. Steve: I'm not sure if it was Maiden or Metallica. I had plenty of Pop albums on tape and cassette singles before I bought any vinyl. Probably the first LP's would be Iron Maiden's debut album or 'Somewhere in Time'. I remember buying both of them new for £5 each around 1992 or '93. Chris: I usually bought cassette tapes, but if I remember correctly the first vinyl albums I ever bought were probably Sabbath's 'Paranoid', 'Mob Rules' and 'Born Again'. I'm a Sabbath freak, and always have been. That band basically ruined my life! Bryce: The Beatles – 'The White Album'. It was 2001, I was 11 years old (Grade 6). I went to the record store with my big bro and he said it was cool, so I bought it with money from mowing the back yard. This one goes out to everyone: there are so many categories, sub-genres, and ways of interpreting metal, but what, to you, is the definition of Doom Metal. Sealey: Damn, this is a tough question! I guess it's about creating a certain atmosphere and emotional honesty. Obviously, the guitars are usually down-tuned and the drums are heavy as hell with clean vocals. It's quite hard to describe really. Karl: Lol. It must have bongos, Casio keyboards, and jazz flute or it's false. Rich: I can only answer this by saying: 'Black Sabbath'! Again, this is for everyone, what made you want to be in a Doom band as opposed to some other sub-genre of metal? Karl: I dunno. This is what happens when I play guitar. I didn't plan to play this way. Sabbath was my favorite band forever when I was a kid. Even in the Thrash and Death Metal days...they were better and heavier. My first tab books were Sabbath. 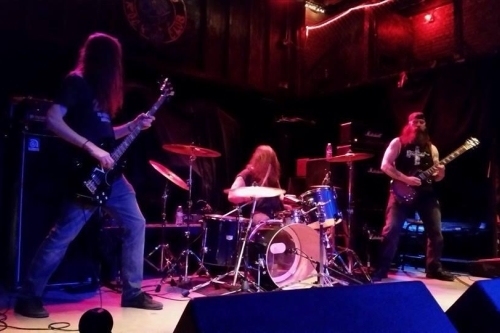 Sealey: Doom Metal for me is the most honest and purest form of Metal music. I've played in Death, Thrash and Black Metal bands but Doom remains my favourite form of Metal. It also helps to overcome grief, depression, anxiety, broken hearts and all manner of ailments, take my word for it! Rich: It is my favourite metal sub-genre and I also think it is probably the closest to the original genome: the first Black Sabbath album. Like Sealey, I have played in other metal genres, but playing doom allows me the best musical self-expression and suits my personality, too. As much as I loved Pantera and Biohazard as a teenager, I really would not want to play that kind of music now; these days, I don't want to fight anybody and my anger at the world is not that of a young man any more. Doom, for me, is the most creative and emotionally attuned metal genre there is and the one with which I most identify. 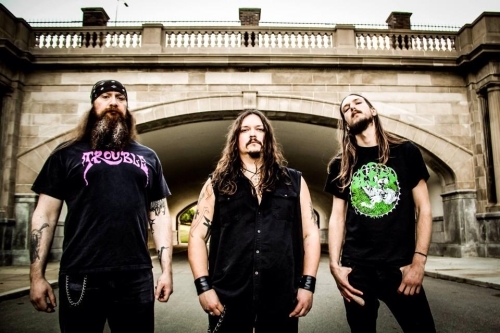 Steve: I used to follow the more mainstream metal bands and Thrash/Death Metal until about 1998 when I started moving towards Cathedral, Electric Wizard (who were not a trendy band back then by any means) and Corrosion of Conformity. This lead me to explore Sabbath and all forms of Doom Metal and Stoner Rock. I found Kyuss and then picked up the 'Dreamwheel' CD by Spirit Caravan in a local record shop. Once I heard Wino, I wanted to know how to get a similar sound and started digging up more obscure bands and trying to sing and play at the same time. By 2000 I was done with fast stuff and had gravitated towards a more doom and stoner style. It's just a more natural and relaxed way of playing and much less aggressive. It's easier to play, too, which probably explains why doom and sludge became a bit of a trend recently. You don't need to practice scales for 12 hours a day to play Sabbath and Wino riffs! How would you rate the overall health of the Doom genre in 2017 as opposed to say 10 years ago? Karl: It shouldn't smoke. It needs to stop drinking so much and eat more salads. Could stand to lose a few pounds and it wouldn't hurt for it to take the stairs instead of the elevator. Steve: Karl's nailed it! I've quit the smoking but everything else is spot on. Sealey: It's probably the most popular it's ever been but that is both good and bad at the same time. People are discovering some great bands and records but there's also more bands than ever before playing this style which makes it harder for the really good bands to break through but that's the same in all genres of music, I guess. The other downside is that there's loads of people now who say they're into Doom but really aren't! They just use the imagery and fashion and don't really know what they're talking about but that's just my opinion, others make look at it differently. Are there any particular albums on heavy rotation as you've been travelling around the country for this tour? Karl: I can barely hear the music at the back of the bus. Sealey: Oh yeah, for sure! We've been listening to the latest The Obsessed record, 'Sacred', it's great! I wasn't sure at first but I really dig it now. We've also been listening to Judas Priest – 'Metalworks' & 'Sad Wings of Destiny', Iron Maiden – 'Killers', Black Sabbath – 'The Legendary Soundboard Tapes', 'Heaven & Hell', 'Mob Rules' & 'Cross Purposes', Thin Lizzy – 'Black Rose', Witchcraft – 'The Alchemist', KISS – 'Alive! ', The Hounds of Hasselvander, Revelation – 'Yet So Far', Lost Breed – 'Wino Daze', Motorhead– 'Bomber', Cathedral – 'The Serpent's Treasure', Electric Wizard – 'Come My Fanatics', Mercyful Fate – 'The Beginning' and Dio – 'Holy Diver', among many others. Or any guilty pleasures, albums we might be surprised by? Sealey: We listened to 'The Best of The Who', that might surprise a few people. We've also been listening to Rush's debut album too. 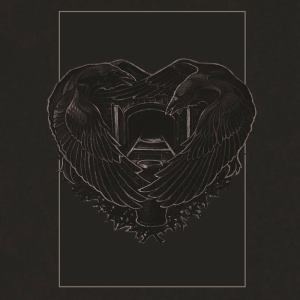 I hope we've given you the chance to present a good picture of the two bands as they are today, but is there anything else you'd like to share with the Doom-metal.com readers? Sealey: I'd just like to thank you for the opportunity to do this interview, we're very grateful and hope you enjoy reading it. DOOM ON!!! Karl: Thanks for caring enough to do this! Interviewed on 2017-05-20 by Nick Harkins.